Win the Buy Box more often with Repricing Central. 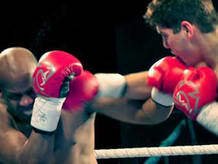 Fast and feature-rich repricing solution you need to knockout the competition. Optimize your repricing speed to every 5-15 minutes. We help you stay in a good position to get the Buy Box while ensuring your price accuracy and profit margin. Schedule your repricing time, and devise different strategies against specific sellers to maximize your sales opportunity. Make smarter pricing decision with top 20 competitor analysis, listing performance report and comprehensive dashboard. Feedback Central is an intelligent email campaign manager to help you get the most seller feedback and product reviews. Save time by automating your feedback and review requests. Make sure your great customer service translates into more sales. Reach out to your customers with customized emails that include your store logo for a professional touch! BQool invoice generator can help you automatically generate VAT invoices and send to your buyers on your behalf. The best product on the market that collects and organizes your product reviews. 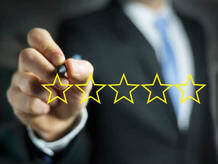 Aggregate all your product reviews into one central location for convenient viewing so you can easily manage your product reviews. BQool saves you time by alerting you to negative reviews so you can quickly take charge of the situation. Keep control over your Amazon products by discovering the number of your competitors for each listing. Check our resource for best practice, tips and guidance for your Amazon business. BQool solved our repricing problems with a package that is not only affordable, it allows for great flexibility as well. After switching to BQool, our sales skyrocketed. Thanks BQool for an excellent product! BQool Repricing Central is the best seller tool around. It has changed my business and saves me hours every weeks and earns me thousands in sales per month! BQool customer feedback software is a great choice for us sellers! It indeed saved us lots of time to track customers. You can edit the default template as you want. It is helpful for us sellers, especially those big sellers.